Hot on the heels of a US inquiry that pointed to Apple claiming it had booked two-thirds of its global profits back in 2011 through its Irish subsidiary without paying taxes, a group in Ireland has asked Apple and other multinationals to give an account of their tax arrangements (via The Guardian). After the US Senate’s inquiry, some voiced their concern over how Apple and other multinationals pay their taxes, as the investigation found that some of Apple’s subsidiaries are not officially tax resident anywhere. “Less money goes in aid to the south than flies from the south in capital. If you allow your tax system to be used by multinational firms to facilitate that kind of flight, that’s very problematic,” a Sheila Killian, a lecturer in accounting and finance at Limerick University said. “How can we look anybody in the eye out there and defend the type of austerity measures that this government is introducing when we’re unwilling to take companies in [before parliament] who are not paying their fair share in this state?” Sinn Fein’s finance spokesman, Pearse Doherty said. 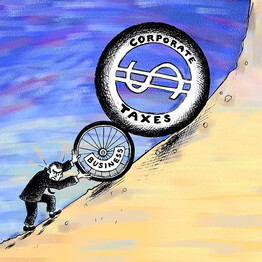 However, an Irish parliamentary committee has decided that there is no need for an inquiry into tax and multinationals. The move was explained by Ciaran Lynch, chairman of the Irish parliament’s finance committee, who said there is no need for Ireland to replicate evidence from tax investigations in the manner they were undertaken by the UK’s public accounts committee and the US Senate subcommittee. “If there has been suggestions that companies have been ‘off side’ on tax, then the right people to go are those who make the rules. You don’t go to Manchester United or Chelsea when they’re accused of being offside – you go to the referee, or to Fifa or Uefa,” he said.